The United Nations, once created for the benefit of mankind, so that no war could become important enough that it starts taking lives. An organization built on humanitarian grounds, now, seems to have lost its purpose and objectivity. What exactly are human rights? Is it the protection of people? Or taking care of their liberty and freedom? Or all of it? 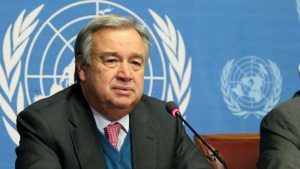 It seems that the UN is more confused than anyone on these questions and the proof of it comes from the heart of the sub-continent, Kashmir. As per news that emerged from Srinagar, Kashmir has found its youngest victim to be hurt at the hands of the Indian Occupying Forces in Indian Occupied Kashmir. A little, adorable and innocent baby named Hiba Nisar, only 20-months of age, has become the victim. Hiba and her family hail from the Shopian Village of Srinagar, a very remote and quiet place. 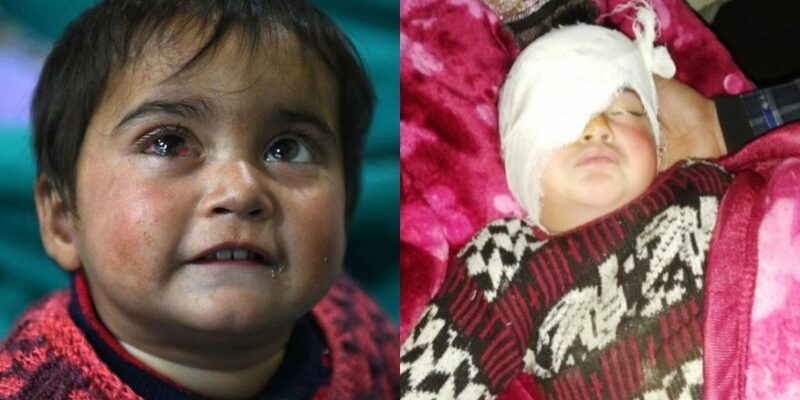 The Indian forces, a few days back, fired pellet shots of which Hiba became a victim of. 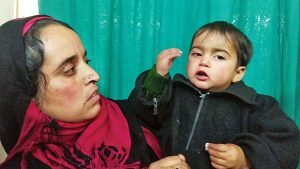 Doctors in Srinagar have said that Hiba, who is not even two years old, will never be able to see again from her right eye. “Hiba, my son and I were sitting in our kitchen on Sunday morning, as we felt suffocated due to heavy tear gas shelling by security forces outside. 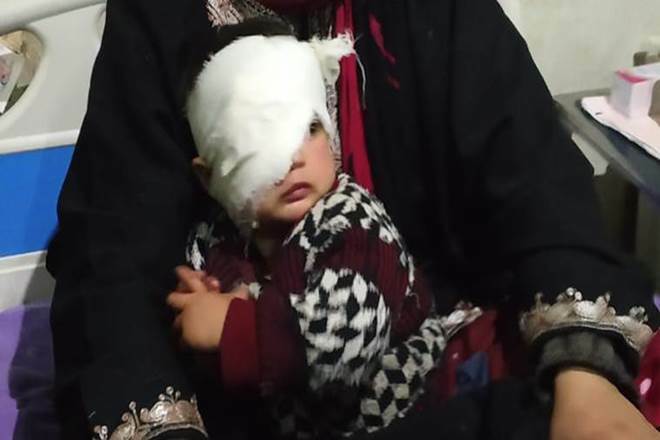 As we tried to move out of the kitchen and open the door of our house, a pellet hit Hiba in the eye and she started crying in immense pain,” Marsala Jan, the victim’s mother, said. The usual excuse that the occupying forces in Kashmir, whenever they commit a heinous act against human rights, is that they were being pelted with stones and sticks. However, in this particular case from Shopian, the people have vowed and promised that they were not doing anything even close to it. “We weren’t pelting stones on the forces. Why did they fire pellets at us? Why did they have to target my 20-month-old daughter? Don’t they have children at home? They performed one surgery yesterday and told us that another surgery will be done after a few days,” Marsala said. The father, who took her daughter to the local ward after she lost one eye, said that his daughter was too young to realize what has happened to her. If she survives in this mayhem, she’ll know about it when she grows old. Hiba’s mother even wished that the pellet had hit her instead of her daughter. Upon such harsh living conditions and an absolute massacre of human rights, one really starts wondering, where exactly is the United Nations?